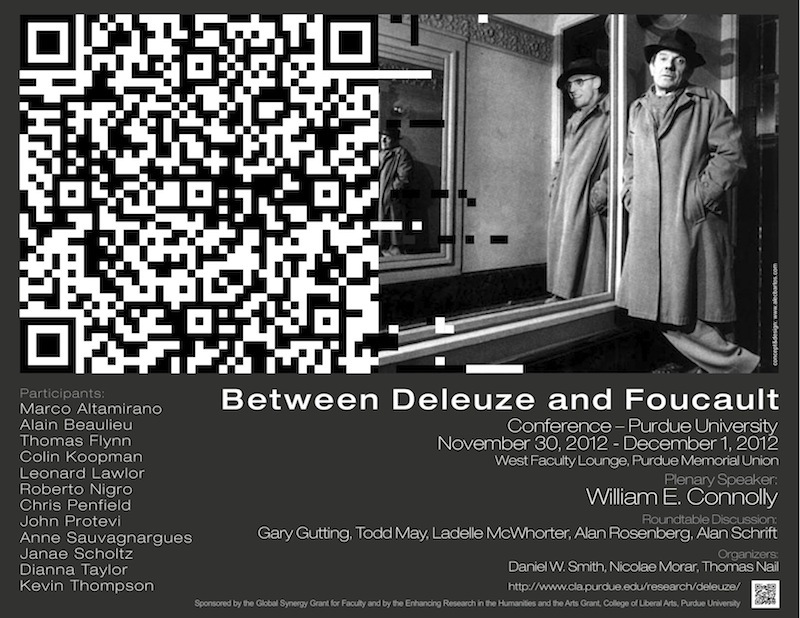 An international conference exploring the relations between the work of Gilles Deleuze (1925-1995) and Michel Foucault (1926-1984). Organizers: Daniel W. Smith (smith132@purdue.edu), Nicolae Morar (nmorar@uoregon.edu), and Thomas Nail (thomas.nail@du.edu). The conference is made possible through the generous support of a Global Synergy Grant for Faculty and an Enhancing Research in the Humanities and Arts Grant from the College of Liberal Arts at Purdue University.